As much love and hype as the rotation gets for being homegrown, with onetime trade acquisitions Noah Syndergaard and Zack Wheeler joining Mets draft picks Jacob deGrom and Steven Matz, the 2019 outfield is poised to be at least as much of an organizational point of pride for the Mets. 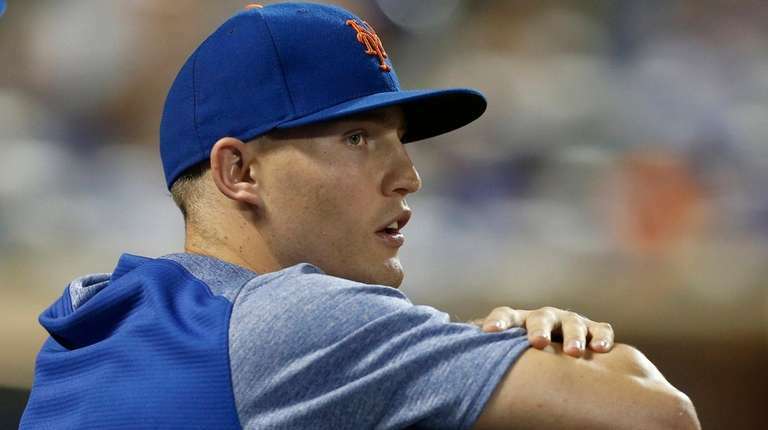 In Brandon Nimmo and Michael Conforto, a pair of former first-round picks, the Mets have two starting outfielders potentially on the brink of stardom — and that’s not to mention Juan Lagares (a 2006 international signee) and Jeff McNeil (a mid-round pick in ’13). Conforto will be the everyday guy in rightfield. Nimmo is set to play regularly in center and left. Lagares figures to mostly play off the bench, while McNeil, who also will see time in the infield, is expected to play a lot in left. Altogether, the bulk of the outfield reps — and production — will come from homegrown Mets. Conforto had a big second half (.273/.356/.539) last year once he was fully recovered from shoulder surgery the previous summer, and a return to his All-Star form of 2017 would surprise nobody with the Mets. Conforto shot through the minors and starred in the Mets’ 2015 World Series run. Nimmo’s path to full-time starter in the majors was slower, but far from a failure. Nimmo was Sandy Alderson’s first draft pick in 2011, a raw but talented high school player from Wyoming. He had a slow but steady rise through the minor leagues, spent a couple of seasons splitting time between the majors and Triple-A, and last year finally established himself as a legitimate major-leaguer — just as Alderson’s time as Mets general manager ended. Now, after a breakout season in which Nimmo had a .404 on-base percentage, manager Mickey Callaway has him penciled in as the Mets’ leadoff hitter.